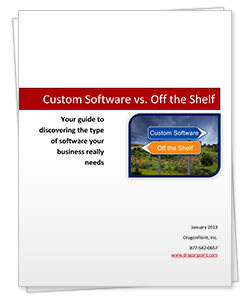 Before you buy new or enhance existing business software, get this guide and discover the real benefits and drawbacks of custom software and off the shelf packages so you can choose the right kind of software for your business. Click here to download your free whitepaper. Take the First Step With Us Today!